In the final part of this month’s wedding venues guide, it’s time to talk decor! Here, we share how you can use Etsy to get creative and pull together a wedding reception which screams of your personality! Oh Etsy! Let us count the ways we love you. If you’re looking for something unique, you can always rely on Etsy to come up trumps, so it isn’t surprising that more and more couples are heading to the online marketplace to source some unique finishing touches for their wedding day. Your big day is comprised of all the little things, which reflect both you and your partner’s tastes and personality traits, not to mention eccentricities. It’s these little touches which give your day its own unique vibe, helping your guests declare it as a day to never forget. Whether you plan to use Etsy as a source of inspiration to go DIY yourself or save some time by buying straight from the shops, we’ve rounded up our favourite ways to use Etsy. An essential part of wedding planning, but one which can easily be made fun and incorporate your chosen wedding theme, are place names. The options are endless, limited only by your imagination. From laser cut pieces, to cork holders and vinyl 45’s for record enthusiasts, these are a few of my favourites. All photos from corresponding Etsy shop pages. 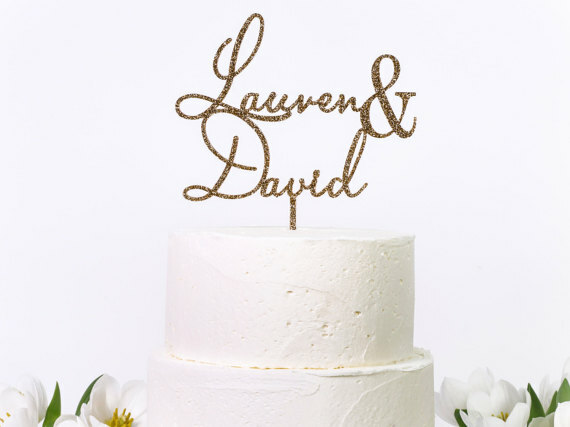 Whether you opt for a traditional 3-tiered cake, lavish dessert table, cutesy cupcakes or an of-the-moment cake made entirely of cheese, there are various ways to top ’em! 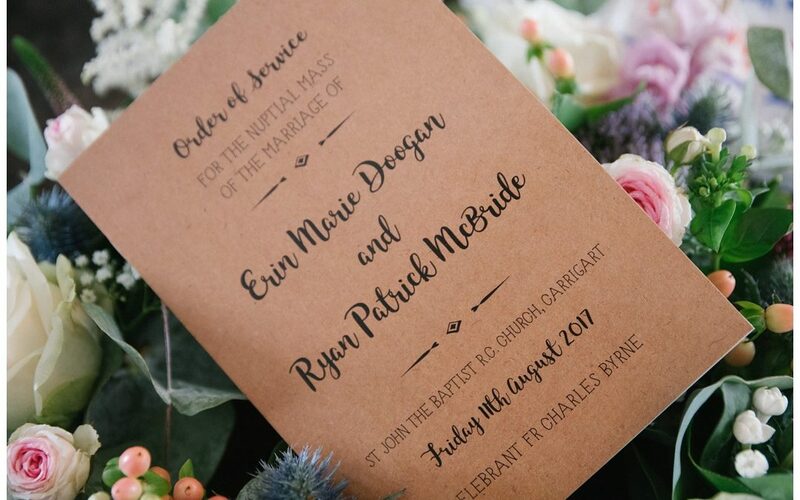 Stray from the norm of plastic bride and groom toppers in favour of stylishly personalised cutout calligraphy ones. Your invites, signs and table plans will effortlessly evoke a sense of your style and so deserve the upmost of attention. Thankfully, Etsy offers a wealth of inspo to help ensure these important elements meet your expectations. 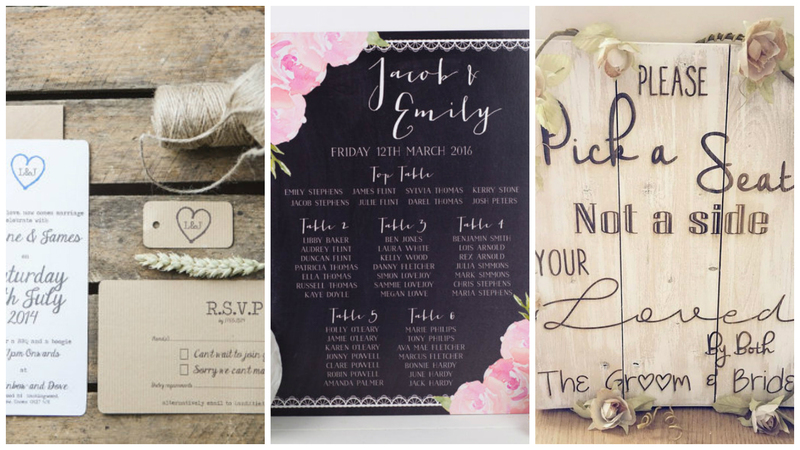 When it comes to wedding favours, there are endless ways to say thanks to your guests but Etsy offers unique ways to get creative. Ensure you give guests wedding favours they love (which won’t end up being left behind, or worse still, in the bin!) with personalised gifts which express your gratitude. 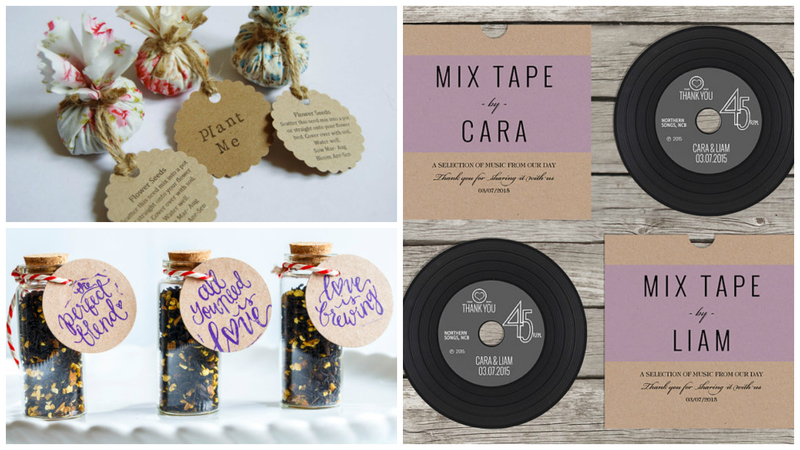 There are a wealth of choices out there but these are a few of our favourites… flowers seeds, blends of tea and mix tapes. Finishing touches are everything! 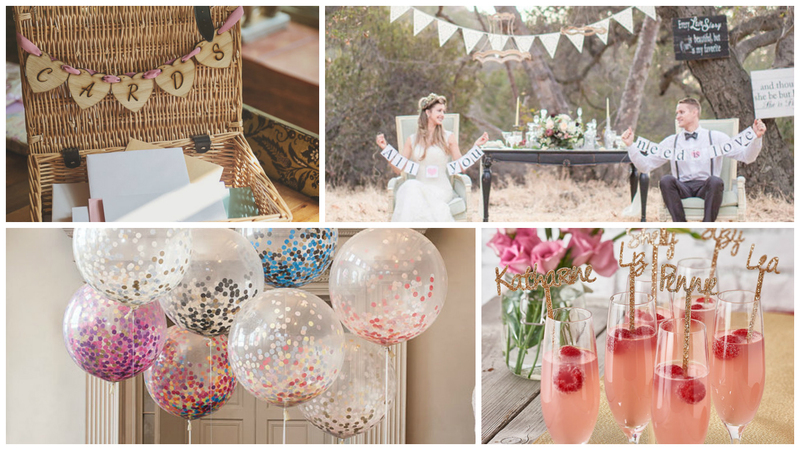 From giant balloons, to decadent bunting, boxes for cards and even personalised swizzle sticks, there are endless ways to get creative and add a unique spin to your wedding day.